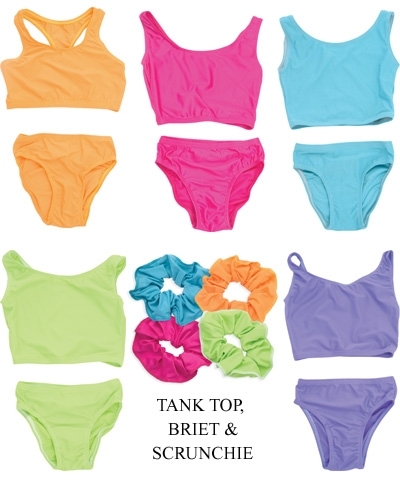 Layered Color Lycra Undercovers include T-back Top, Briefs and Scrunchie in Lime Green, Purple, Fuchsia, Orange or Ocean Blue. Layered Color Undercovers are included with the L625, L627 or L631 Layered Leos or can be purchased separately. Size js-jl, axs-axl.